The speaker in the video above is not me, but a fellow writer. 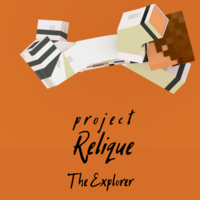 Relique, or Project Relique, is a passion project/machinima series of videos based on both the (now gone) Minecraft space server Starquest and the stories music can tell. 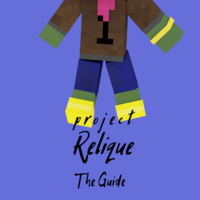 The final project may be 10-15 episodes long. This series has a variety of characters, with the main being Ryan "Rift" Santa-Fe, a young historian set out to find out what caused a major migration to a new galaxy followed by a race to save the multiverse. It is a short-form series with episodes ranging from 5 minutes to 20 minutes, depending on the goal of the episode. Each episode takes around 6 months on turn-around due to it being a self-made series and time restraints. My intent with some voice actors is to get less reading involved and more script-structure into the piece, increasing quality and decreasing on-the-spot writing. I'm looking for 1 actor right now, but more roles may become available. Actor turnaround won't have to be immediate, but within a week would be nice. I apologize for asking to work for free, this isn't really a money maker, nor do I have any extra to use. Apply if you want to help lend a hand, not if you want a pay day. Look, I appreciate the help, but you're my issue. You got me here. *incoherent yelling* Work, damn it! Rift is a bit of an odd case. Confident, knowledgeable, and in way over his head, he's ready to risk a lot, but not too much, to reach his goals. He's also the direct descendant of a pirate warlord. (out of breath) Found a sword, plus a map. It's covered in markings, and they're definitely not alphanumeric. I've just got a very strong feeling that it's more than just solar flares. Sleep is a valuable tool for any adventurers like us!